Get the buying power that you need and the low rates that you deserve with Visa Credit Card. For more information, contact the credit union at 816-272-6160. Use our MasterCard® Debit Card to make purchases at merchants that accept MasterCard or get cash at CO-OP ATMs surcharge free and the amount is deducted from your Summit Ridge Credit Union Checking account. Our MasterCard® Debit Card comes with built-in EMV chip technology. These cards are not only more secure - they're also easy to use. When you use your card at a chip-activated terminal, the embedded chip generates a one-time use code. This code is virtually impossible to counterfeit and helps reduce in-store fraud. If a merchant cannot accept chip transactions, simply swipe your card to pay. In addition to the added protections of the EMV chip, our MasterCard® Debit Cards offer an extra layer of fraud protection with the Fraud Watch Plus program. Our fraud specialists monitor your portfolio 24/7 using neural network technology to efficiently and accurately identify potentially fraudulent transactions and alert you so you can take appropriate action. This is a responsive, reliable fraud monitoring program to help protect you. 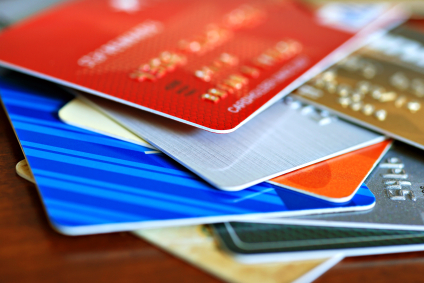 Contacting you quickly is critical to stopping any potential card fraud. Most members have a mobile device and this offers a convenient and quick method to contact you regarding suspicious activity. Please help us protect you by keeping us up to date with your current contact information. Traveling in the US or to a foreign country for an extended period of time? Contact us prior to your departure and we'll make our monitoring more flexible during your travels. If you have questions about your new card, please call or visit Summit Ridge Credit Union. We appreciate your business! MasterCard® SecureCode™ provided in association with MasterCard® International, protects your card against unauthorized use when you shop online at participating retailers. Visa® Gift Cards Ensure family and friends get a gift they'll enjoy! Visa Travel Cards are good anywhere Visa® is accepted! Prepaid Visa® Travel Money...better than a travelers check. Travel with peace of mind.